New research from Citizens Advice has revealed that lots of smartphone owners are paying more than they really need to on their monthly bills. In fact, when a customer lets an initial two-year phone contract run on unchecked, they end up being overcharged an average of £22 every month. The reason for this is that contracts are made up of two parts: some of the cost pays for the phone itself, and the rest pays for your minutes, texts and data. When your initial contract is up, you’ve paid for your phone. So if you keep it running at the same cost, you’re essentially giving money to your network for something you’ve already paid for. It doesn’t have to be like that. With just a little planning, you can make some smart decisions to save money and get the phone you want. Here are a few options to help you do just that. If you’ve had your phone for almost two years you might be feeling the urge to get a brand new one. If so, you can upgrade at the end of your contract (or can change networks to get the phone you want). If you don’t know when your upgrade date is, use our Upgrade Checker to see if you’re eligible. You can also sign up to our Upgrade Reminder Service, where we find out your upgrade date and give you a reminder on the big day. When your two-year contract ends, you’ve paid for your phone. So why not drop to a much cheaper SIM Only plan? Prices start from as little as £5 a month, making it a great money-saving option. 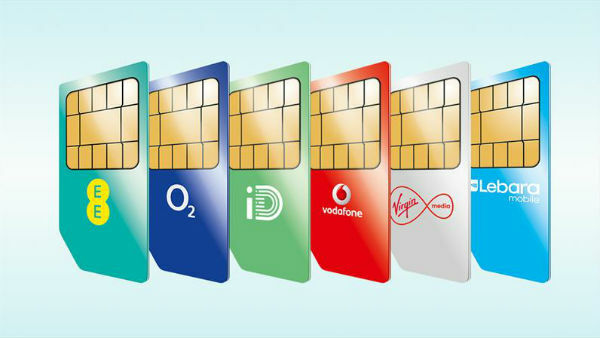 SIM Only works in almost the same way as a normal mobile phone contract - except it doesn’t include a handset. You get the SIM card itself, with an agreed amount of monthly texts, minutes and data. Check out our SIM Only deals here. You might also want to consider buying a new phone outright. When you buy a SIM-free phone, you don’t have to commit to a long-term contract. You simply pay the full upfront cost and you can then pair it up with a short-term SIM Only deal. Even if you get one of the latest premium smartphones, it typically works out cheaper buying it SIM-free than getting it on a two-year network deal. The only real drawback is you’ve got to pay for it upfront, but we can help you out on that score – to give you extra funds for your SIM-free purchase, you can trade-in your old phone with us. If you’re interested in doing this, take a look at our phone trade-in help page. Have you got any end-of-contract tips you’d like to share? If so, post a comment below.